Purr-fect Pet Presents at Great Prices! Fantastic Presents for Your Furry Friends This Christmas! Ok, so you’ve bought all the Christmas presents for you family and friends, but is there someone that you’ve forgotten? That’s right, your beloved pet deserves a Christmas present too! My Favourite Voucher Codes is on hand to point you in the direction of some great gift ideas for your pets, all with the help of pet-tastic discount codes. So whether, its clothes, toys or more practical items, don’t let your pet miss out this Christmas and treat them to something fancy too! But if you’re after some more practical doggie gift ideas, we’ve those in abundance too. Over at Doggie Solutions, they’ve got doggie discounts galore. Click on this discount code and you can save 15% off flexi leads, or maybe you’d prefer 15% off all coats? Or use this Greyhound Megastore promo code and get 15% off all beds and blankets. But if you’re still not done pampering that pooch, just click on this Christies Direct discount voucher and you can save 10% on dog toys, collars and leads! Cat lovers of the world unite – it’s not all about the damned dogs you know – we’ve got heaps of cute kitty cat savings so your moggy doesn’t miss out on a great Christmas present too. Our Pet Supermarket discount code can save you up to 30% on selected cat products. 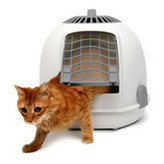 Just click on ‘Cat Clearance' and you can save on cat carriers, toys and litter trays, to name but a few. But if you’re after some super cute cat-centric toys, just head on over to Pets Pyjamas. They don’t sell actual pets pyjamas (sorry to disappoint you there), but if you use our Pets Pyjamas voucher code, you can save up to 50% on selected toys, collars and carriers! So whether it’s canine or feline you’re looking for, we’ve got pet present ideas a –plenty! But to make doubly sure you don’t miss out on any more pet offers and savings, just download our money saving app to your Chrome or Firefox toolbar. We can then tell you whether we’ve have a discount code for whatever site you happen o be shopping on at the time! Your pet will thank you for it, trust, us.